Ever since my coworker saw Kendra Wilkinson (she’s 90% sure it was her) leaving Blazing Saddles, I knew I had to check it out, and hopefully spot a celeb myself. When I logged onto ClassPass and saw that the studio had finally been added I booked a bike right away! Blazing Saddles shares a parking lot with Starbucks and Subway. They validate for 90 minutes free and there’s also metered and neighborhood parking (watch for signs). Although the address is Ventura, the entry is actually on Allott Ave. I checked in, signed a waiver, and asked to borrow shoes (free for the first time, then $3). Water is sold for $1 and you can rent a towel for $1. They let me use one for free since I was new J but definitely bring one—it got super sweaty! I went into the studio, chose an empty bike, and clipped in. The room was full and I could tell they have a strong community because Shirley, the instructor and co-founder, knew everyone’s name (including mine!). During the first and last ten minutes of class we rode on a flat road and focused on maintaining our fast pace while rotating between first, second, and third position. The middle of class (about 25 minutes) was spent slowly increasing our resistance based on requests from the riders. For example, Shirley walked around and asked someone “How much should we turn up?” The first two people said one whole turn to the right (ummm FML) then she came to me and I said a half turn (people were thankful!). While we didn’t do any special moves like push ups or tap backs, we spent most of the time riding in second and third position. Shirley made a point that these positions naturally work your arms, legs, and abs. A lot of spin studios don’t use second position (standing straight up) much so I was happy to have some time to try to perfect my form. 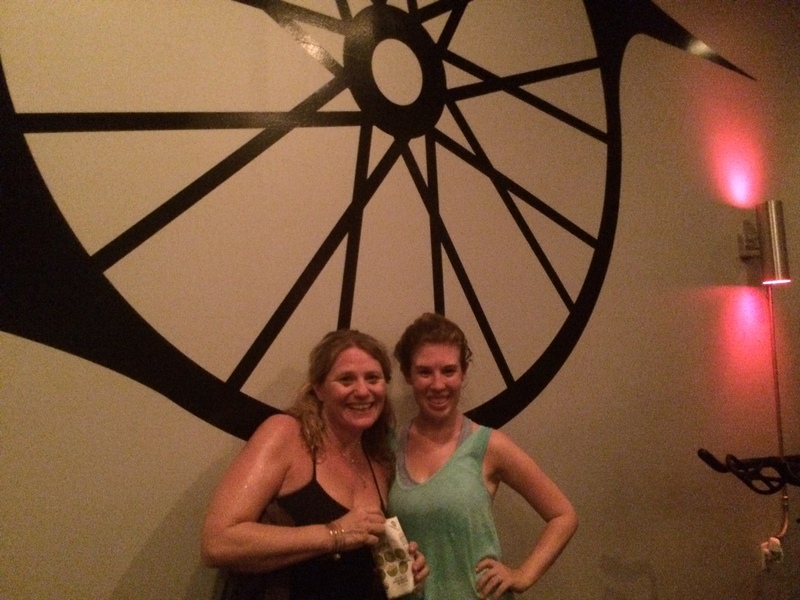 Check out my post on Sandbox Fitness for great post sweat suggestions. 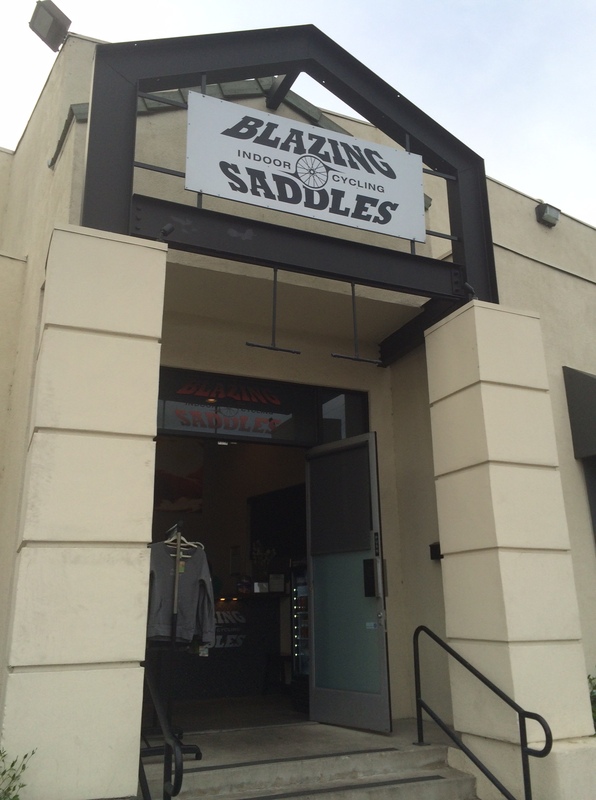 Blazing Saddles has various deals with Two Hearts Yoga, Pure Barre Sherman Oaks, Grace Anatomy Pilates, and CorePower Yoga. Check out http://blazingsaddles-la.com/buy to cross train and save some $$. 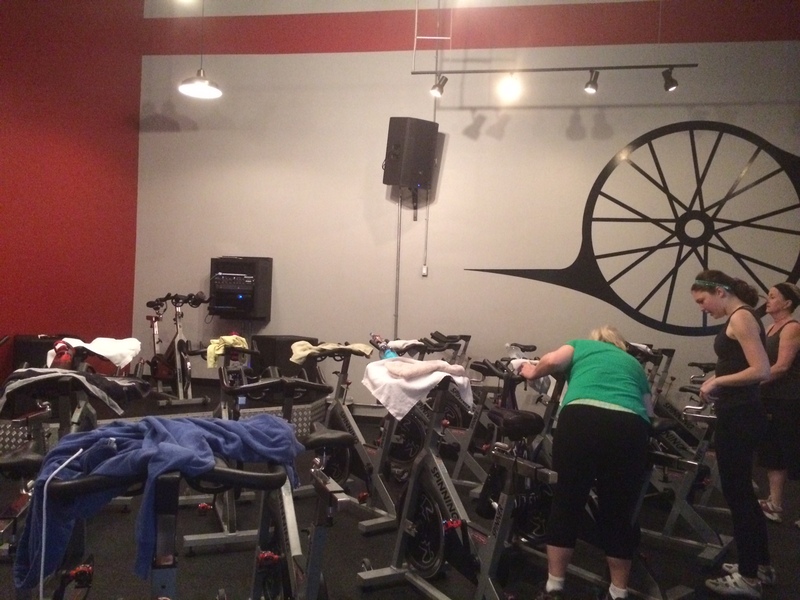 This is the only spin studio I’ve been to with “general admission” aka you don’t reserve a specific bike before entering. They also offer cages if you only have tennis shoes and don’t want to spend $3 to rent.